Choking hazard - small parts. Not for children under 3 years Glows for hours. Ages 5 plus. 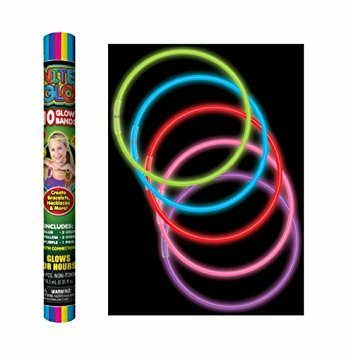 Nite Glo bands, 10 piece. For wrist and neck.